The hit animated show that turned into a hit comic is now collected into trade paperback! Kicking off with the premiere story Ole! 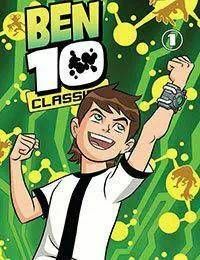 and also including Fast Lane, Fear Itself, A Villain A Day, and many more, these TPBs present the Ben 10 comics from Cartoon Network Action Pack! in chronological order. Its the most concentrated dose of Ben 10 ever!